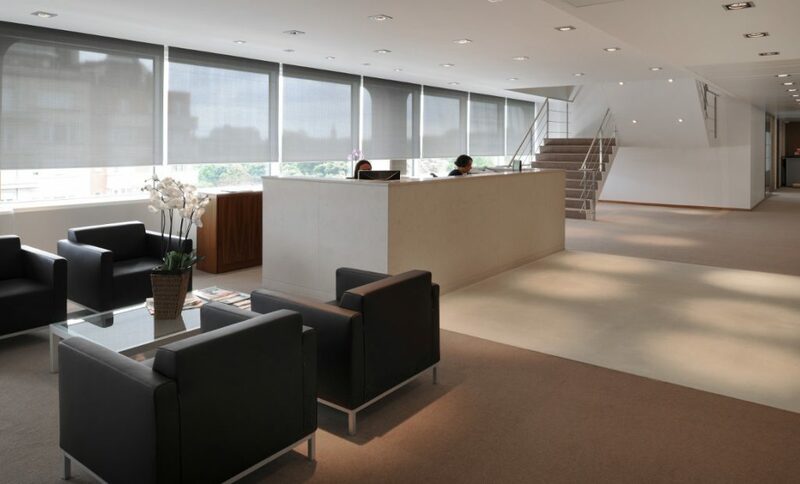 Crowell & Moring Brussels a US Law firm based in Washington DC, was initially a natural European extension of the firm’s antitrust, international trade, and regulatory practices. 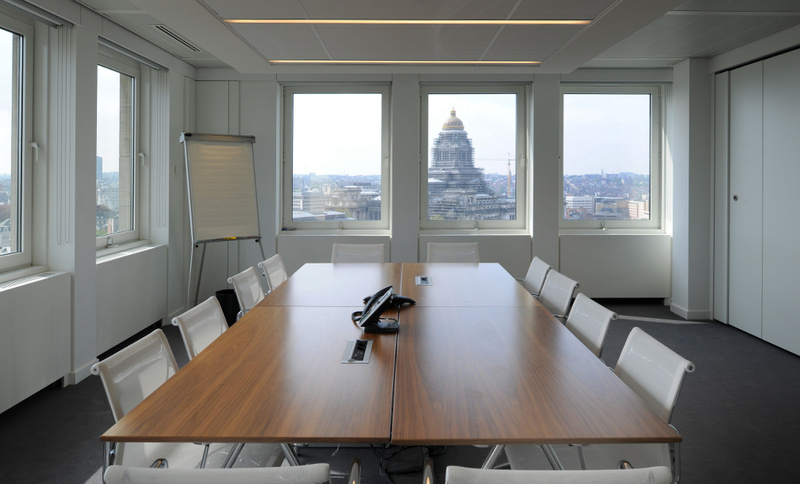 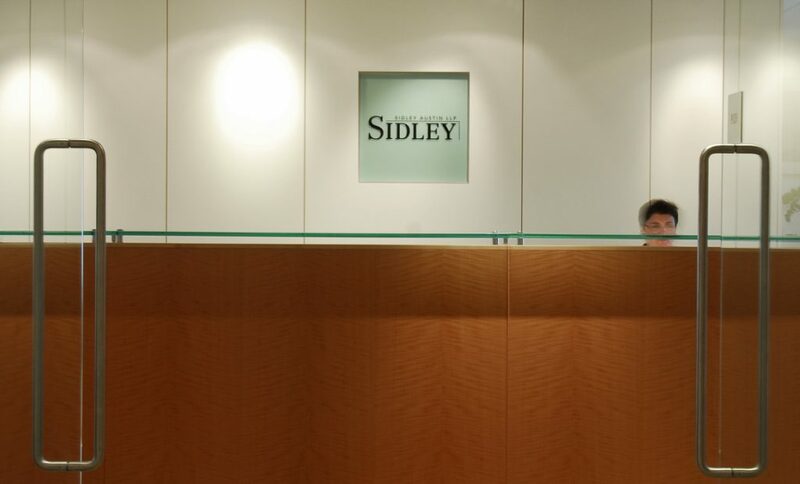 The Brussels office has grown in 2010 to more than 50 lawyers who are familiar with operating in a number of different European jurisdictions and provide a range of litigation, transactional, counseling, arbitration, and regulatory capabilities. 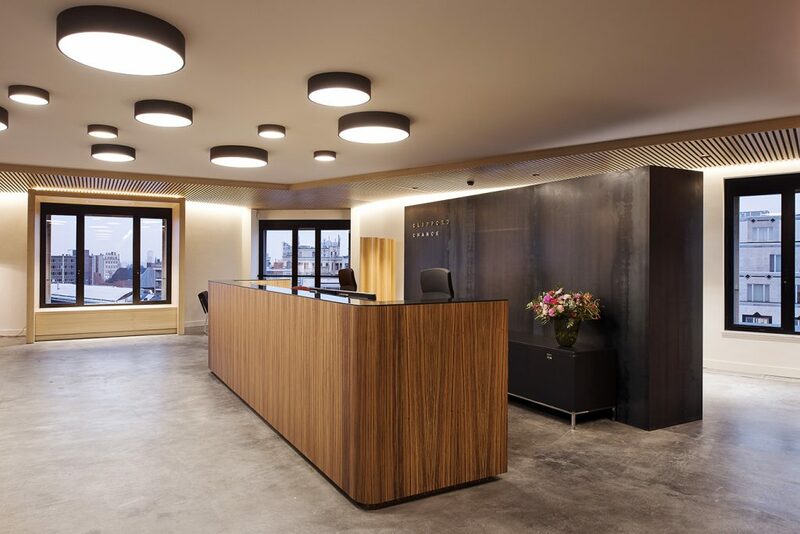 The aim of the project was to move the offices from rue Royale to the Stevens Tower (21-22 and 23 floors near the Sablon). 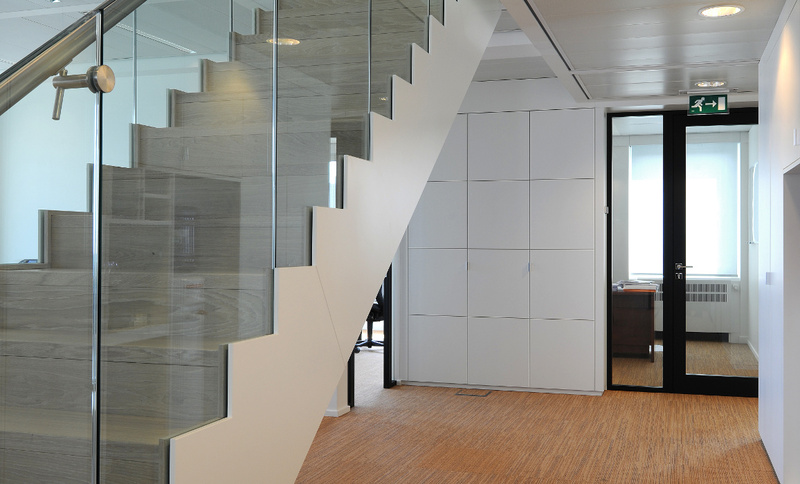 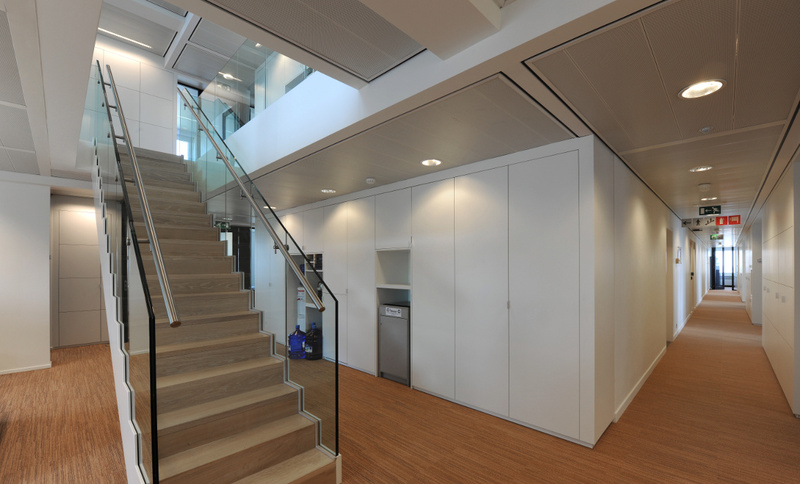 The winning competition for the new layout of Crowell & Moring LLP office in Brussels awareded thanks of the key elements contained in the project: the stairs which are linking the levels, the use of plain cupboards and the transparent glazed areas in the corridors.